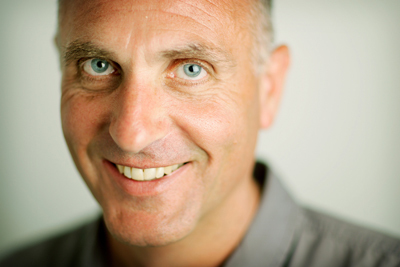 John Crace is a staff feature writer for the Guardian, where he is best known for the literary pastiche ‘Digested Read’. He has also written several books, including ‘Vertigo: One Football Fan’s Fear of Success’ and soon-to-be-released ‘Harry’s Games: Inside the Mind of Harry Redknapp’. A committed Spurs supporter, he lives in south-west London but travels to N17 for every home game. ‘FOR the last six months of my father’s life I knew that his cancer was terminal. I tried to keep my boss informed about his condition, but every time I broached the subject she would say: ‘How terrible. I can’t bear it. Don’t talk about it.’ I desperately wanted to be with Dad when he died, and when the doctors told me he could go at any moment, I cleared my desk and told my boss that I needed time off work. Margaret’s experience may be more traumatic than many, but her story is not uncommon. Every day 3,500 people in Britain lose someone close to them; one person is widowed every three minutes. Nobody can be totally prepared for a bereavement, nor be immunised against their pain. But people can be helped in their grief, and it as important that they should receive support in the workplace as at home. Unfortunately, many find that going back to work means having to carry on as if nothing has happened. Few people set out to be deliberately insensitive. The reaction of Margaret’s boss was not prompted by malice: her own father had died some years earlier and she had never come to terms with it. She was so paralysed by the situation that she couldn’t even bring herself to let Margaret’s colleagues know what was happening, which led to the upsetting note and comments on Margaret’s return. Facing the issue head on may not be comfortable for those at work, but it is usually the approach that is most appreciated by the newly bereaved. Richard had just begun a new job when he was told his father had only a few months to live. ‘It was an extremely difficult time for me. There had been a number of redundancies at the company just prior to my arrival, and I didn’t feel that secure of my own position. ‘When I told my manager about my father’s illness I was left to sort out for myself what hours I took off. I would much rather that they had told me what was OK and what wasn’t, or at the very least reassured me that what I was doing was acceptable. There are no statutory rights to compassionate leave: it is a matter of negotiation between employers, employees and unions. Terms vary greatly: in the police service, for example, two weeks is allowed, yet civil service workers get only five days. Extra unpaid leave is often an option – but only for those who can afford to take it. Some people, of course, may be more than happy to get back to work as quickly as possible. But anyone newly bereaved will be in a vulnerable state. Just as no two people will react in the same way to a bereavement, so there are no hard and fast rules about how a company or workmates should respond. One person may be comparatively unaffected by the death of a relative, while another may be distraught at the loss of a friend. Yet bereavement is something which will affect most workplaces at some time or other, so some general pointers can be helpful. David Charles-Edwards is a counsellor and the author of a booklet called Death, Bereavement, and Work. He and his wife Alison, a counsellor with the bereavement support group Cruse, run one-day courses to address the problems of bereavement and work. He advises some simple approaches. Just saying something like, ‘I’m sorry to hear your Dad died’ and ‘If you ever want to talk about it, I’m here,’ can make a big difference. Employers can ease the pressure on the bereaved person by letting them know that ‘I know you don’t feel up to much, so don’t worry too much about your work at the moment,’ or ‘It’s a lot better to let it out’ if the bereaved person starts crying. But even when a company goes out of its way to help an employee, by giving as much compassionate leave as is required and by keeping colleagues informed to save the stress of explanations, the bereaved can be made to feel unsupported simply because people do not know how to talk to them. Geoffrey’s son, James, was born with a congenital heart defect and had transplant surgery when he was two. He appeared to be making a full recovery, but 18 months later he suddenly fell ill and died within 24 hours. ‘I was allowed as much time off as I wanted when James was in hospital, and after he died several people from work came to the funeral. When I went back to work I talked to my manager about it, and quite a few people said how sorry they were. But no one wanted to take it any further than that. People are scared of saying the wrong thing and they’re worried about reminding you of what’s happened as if by not talking about it you might forget. If someone you work with is bereaved . . .
Make sure his or her colleagues know about the bereavement. Acknowledge the loss: encourage the person to talk if they want to. Enable them to cry in safety, without loss of self- respect. Reassure them that powerful feelings and dreams are normal. Let your feelings of embarrassment stop you offering support. Expect the bereaved to be back to normal quickly. Pressurise them to get on with work: if the job is that important, get someone else to do it. What a fantastic article, John. Thanks for sharing this with us. After losing my wife of 22 years suddenly and unexpectedly on 26 December 2012 aged just 44 I took a couple of weeks off my job as a fundraising consultant, then tried to be very stoic and went back to work. My employers and my regular clients were truly fantastic. I spent a very busy three months helping the Disasters Emergency Committee gear up for the Syria Crisis Appeal and coped ‘okayish’, I think. However, despite the best efforts of those around me, I stopped putting a brave face on things a couple of weeks ago and decided to take some unpaid leave. My children are both grown up and in full-time employment so I was worried about the message my time off is sending out to them. I don’t want them to think ‘the old man has given up’. That certainly isn’t the case. Because of my wife’s forward thinking, I can afford to take time off and it feels good to take things at my own pace for a while. No commute from Oxfordshire to London. No squeezing onto the tube in the mornings. Just peaceful walks around my village with my dog and a chance to reflect and try to make some decisions about how I’m going to get through the coming years without my best friend at my side. I’ve been very lucky in how people have treated me since Julie’s death but I hope that your article will help others to deal with bereaved people in a sensitive and appropriate way John, so thanks again for a wonderful article. Being a month into my phased return at work, specialist training to colleagues of the bereaved is something I have felt would be hugely beneficial. So glad that there is something out there attempting to address this. People, understandably haven’t the foggiest what to say and we, the bereaved, are caught between trying to get on as normal, whilst desperately missing the sanctuary of home where we are free to express our feelings and share memories. Brilliant article.your do’s and dont’s should be sent to all work places. I took only a week off work after my brothers death by suicide. That was my choice as I wanted some normality in my life. I was lucky in that I had complete flexibilty over the days and hours I worked. Before going back to work I asked for everyone to be told that I didnt want to talk about the detail of how my brother died.a number of people took that to mean I didnt want to mention my brother and that made things very difficult. Others did small things that meant the world to me – bringing me flowers from their garden, giving me a hug, popping their head round my door to let me know they were there if I needed to talk. The hardest thing was that within a short time most people expected me to be back to normal when actually I will never be the same.when I tried to explain I was having a bad day they had no idea that meant getting thro the day would be a massive challenge.i dont expect people to ask me how I am everyday but nor do I expect them to ignore completely what I am going through. 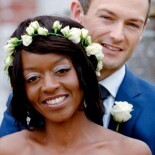 This entry was posted on April 9, 2013 by Ben Brooks-Dutton and tagged and Work, bereavement, cancer, compassionate leave, Cruse, David Charles-Edwards, death, employees, employers, grief, guest post, helping the bereaved, John Crace, life as a widower, lifeasawidower, loss, saying sorry, sorry, unions, work, workplace.